Five Steps To Take If You Are Audited | Accounting Questions, Tax Tips, Personal Finance Topics and More! Getting audited is no one’s idea of a good time, yet you can minimize the stress if you take the right approach. Understand why and when. While it’s possible you were selected randomly, it’s more likely you were selected for a specific reason. One example might be if your deductions for charitable donations or business expenses were greater than is typical for your income or profession. Before proceeding, make sure you understand what is being challenged and when you must reply. Comment: Your chance of being audited “randomly” rises along with the size of your income. With $200,000 a year in income your chance of being audited nearly doubles (1.01% in FY2016) compared with a person who has half of that income. People with more than $10 million in income have a nearly 1-in-5 chance of an audit every year. Consider the kind of audit. 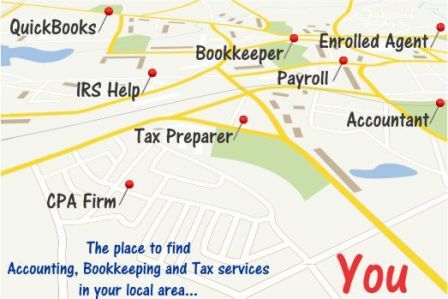 There are three types of audits, in increasing levels of seriousness: a correspondence audit, (conducted through the mail); an office audit (a visit to nearest IRS office); and a field audit (an IRS agent comes to visit you). How and what you prepare will vary depending on the type of audit. Comment: About 70 percent of audits are conducted through mail correspondence and they typically involve routine issues like providing information about deductions. With proper documentation and prompt attention, they can be relatively painless to resolve. Office and field audits can be trickier and will involve more work and preparation. Gather documents. Once you’ve understood the reason and the type of audit, gather and organize as much of your relevant records as possible to prepare your response. For example, if the audit is specifically about deducting vehicle costs for business use, gather your mileage logbook, receipts and any other supporting documentation. This will help prove your case and let the IRS know you are a responsible taxpayer. Comment: If you do not have adequate documentation, you can try to get third-party corroboration. For example, if you took charitable deductions but lost the receipts, you could try reaching out to the charity for their records. While the charity cannot create “new” receipts, they may have copies of confirmations sent out to you at the time of your donation. Know your rights. You have rights to ensure you get a fair chance to state your position. Specifically, you have the right to clear explanations about what the IRS wants and their decision regarding your case. You have the right to appeal the IRS’s decision. You also have the right to have your accountant or lawyer represent you during the audit. In addition, there is a special Taxpayer Advocate Service that is available to help you navigate through problems with your case. Comment: While you should stand up for your rights, always be polite with the IRS agent assigned to your case. They are just doing their job and you aren’t doing yourself any favors if you show hostility during your audit. Get help. No matter what, reach out immediately if you get a letter from the IRS. It pays to have the right help, because an experienced professional can guide you away from costly mistakes. Too many taxpayers have corresponded with the IRS without this help and have paid the price. Try as you might, you probably do not know the tax law as well as the IRS. Audits happen. How you handle them can make all the difference. Article information should not be used exclusively to make legal, financial or tax decisions. Because laws and rules can change frequently, topics may not always be updated to reflect these changes or may not apply to your unique situation. It’s prudent to seek out the advice of a professional for your specific needs.